Get motivated and get moving in our large group fitness classes. With over 60 classes a week in three separate studios, we have something for everyone. Build strength in Bodypump. Boost your cardio in Spinning or Zumba. 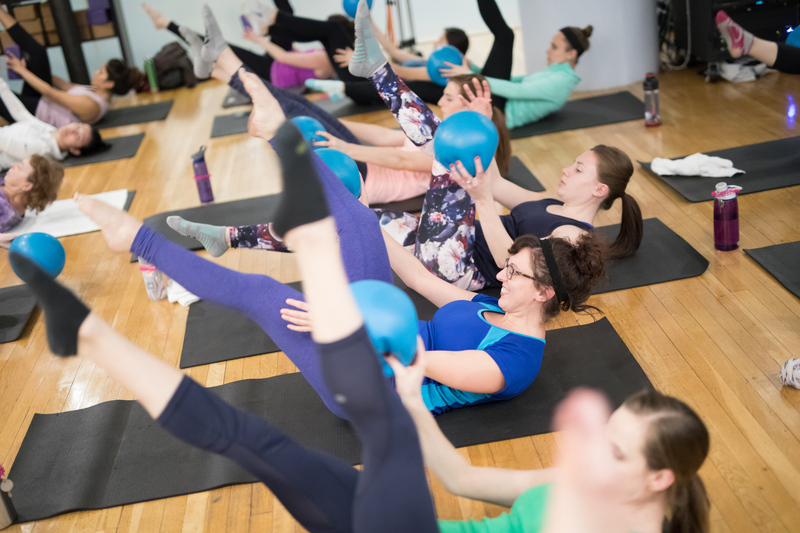 Burn and tone in Barre. Relax and renew your body and mind in yoga. We provide all the equipment you need for class, so just show up ready to work out! Unlimited group fitness classes are included with CSC membership. Not a member? No problem, we also have options for drop ins and studio class packages. Get in and get moving! Try out a class today!